One major aspect of Nintendo's latest handheld refresh, the beauty that is the Nintendo DSi, was the attempt to crack down on software piracy. It seems that enterprising hackers have already destroyed Nintendo's best laid plans, having already cracked the new DSi with an R4DS-like device doing the rounds in Japan. The Acekard 2i lets gamers play illegally downloadable DS titles on their smart new matte-black or matte-white DSi, by storing the necessary data on a MicroSD card. 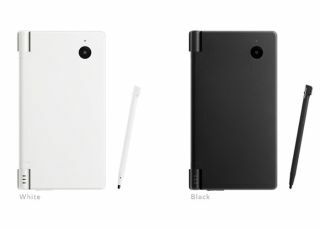 So while Nintendo celebrates the demise of the R4 threat, another new one raises its ugly pirate-shaped head with DSi. There really is no way around this, other than hardware and software manufacturers clubbing together to discourage renegade retailers (such as Amazon) from stocking and selling such devices.